On the following pages series of buses built in Eritrea organised by operator... JUST CLICK ON THE LINKED PICTURES! When Eritrea was part of Ethiopia there appear to have been various bus builders based in Asmara. After independence in 1993 is looks like no (larger scale) bus builing continued and the country kept using the old buses that were already present, adding some secondhand ones. During the new millennium the government started investing again in public transport and the possibility for local bus contruction presented itself. 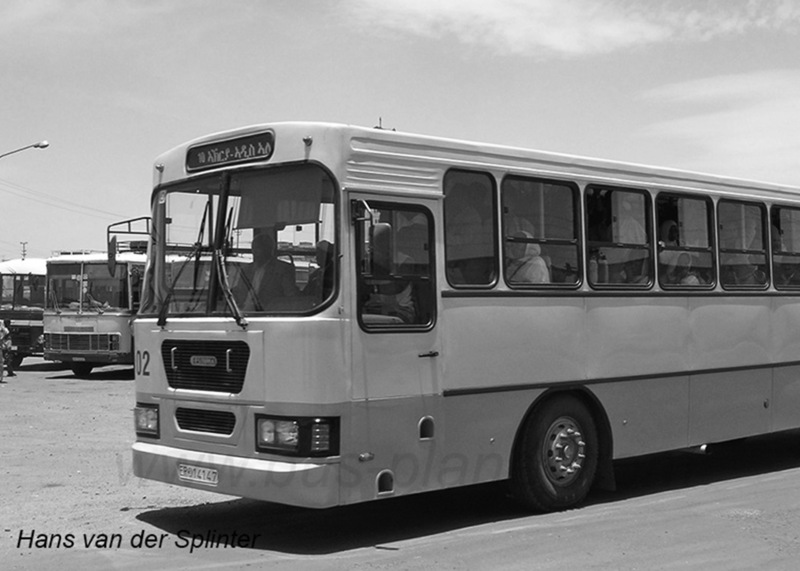 The Asmara Bus Company bought a small series of seven city buses from the industrial company TESINMA in Asmara. There also is a company called ERIBUS which, according to the business directy, also assembles buses. Not information is available so far. However, subsequent new buses appear to have been imported from Japan (the midibuses), Brazil, South Korea, Qatar and India, with China now taking the lead.